Cancer, as a broad spectrum of disease, which abnormal cells divide uncontrollably and destroy body tissue. It is one of the leading diseases that are responsible for high rate of death worldwide. According to research Ovarian cancer specifically was estimated to have 22,280 new cases and a total of 14,240 deaths in the United States and 2,800 new cases and 1,750 deaths in Canada in 2016. For many years scientists have worked to find cures for every type of cancer. According to the American and Canadian Cancer researchers, every woman should know the early signs of ovarian cancer and it is one of the best ways to cure it. 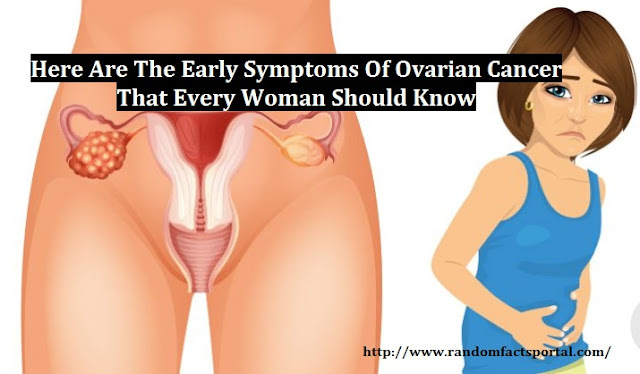 Unfortunately, till now, there is no test that can show ovarian cancer, but don’t worry there are other tests that can help to find out signs of ovarian cancer. 1. One of these tests is an imaging test that includes CT scan and an ultrasound of the abdomen and pelvis. 2. The second test is a blood test that can detect a protein (CA 125) that is usually found in ovarian cancer cases. These two tests help the doctors to find out ovaries cancer and tell the size and shape of a woman’s ovaries. Constant bloating is one of the early symptoms of the cancerous tumors growing. 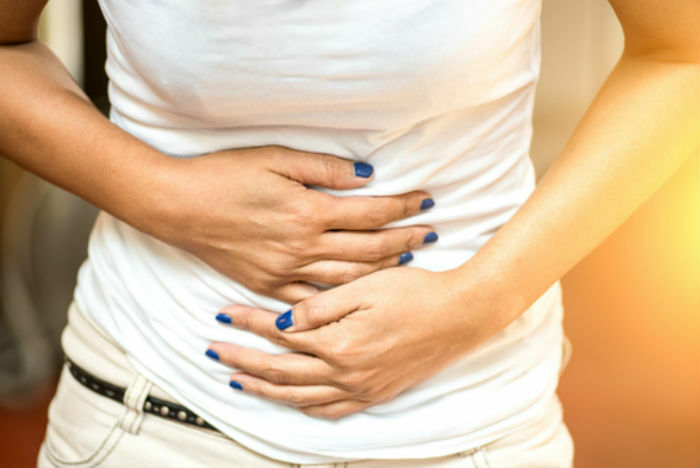 If you are experiencing bloated consistently that is not the ordinary one but usually more than three weeks or longer, this could be a sign of ovarian cancer. The best thing to do in this situation is to consult your doctor to get a proper diagnosis. It is normal for women to feel pain in their pelvic region, lower stomach, perhaps even in the lower back during menstruation. But if you are suffering from pain even after completing your periods then it could be a sign of ovarian cancer. This sign is particularly important for pre-menopausal women to watch out for because it is often mistaken for period pain. If you notice that you are becoming less hungry and feeling a decrease in your diet longer than three-weeks, you should go consult your doctor. It could be issues with your intestines, stomach, and bowel issues but it could also be a symptom of ovarian cancer. If you find yourself constantly running to the washroom to urinate even you have made no changes to the amount of liquid intake, it is one of the early symptoms of ovarian cancer. Also, if you feel fine one minute and urgently need to pee the next it could be a bladder infection but also ovarian cancer. All of these signs and symptoms of ovarian cancer can easily for issues and diseases with the Gastrointestinal tract. If you notice any of these symptoms when you weren’t before, it is important to check out their persistence. If you are continuously suffering by three weeks or more, talk to your doctor about Ovarian Cancer. You should monitor your own health; as well inform the other women about early symptoms of ovarian cancer and help to fight this deadly disease.